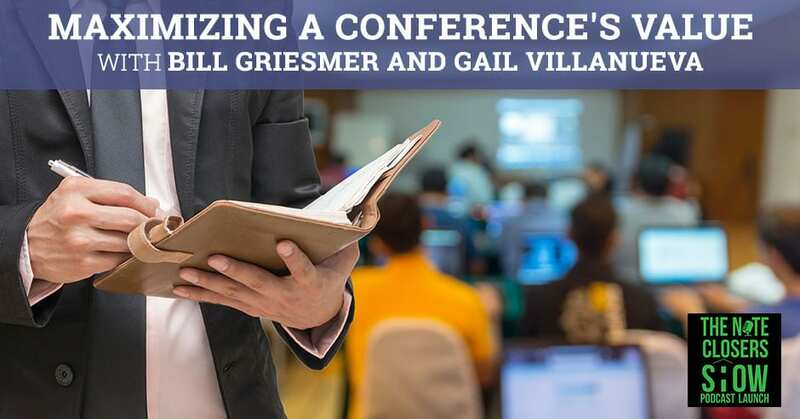 Are you seeking better ways of maximizing a conference’s value? Attending these events can be a lot of fun, but you want to make sure you’re extracting their maximum potential. Don’t just waste precious time and money going around and not really getting anything out of it. Make a game plan ahead of time! Grab a pen and paper, and write down your goals for the event. What do you really want to accomplish there? What do you want to learn? Consider if there is anyone in particular that you want to meet. There might be a few key presentations that you could skip. Think about it: what if you meet someone and have a chance to talk with them? 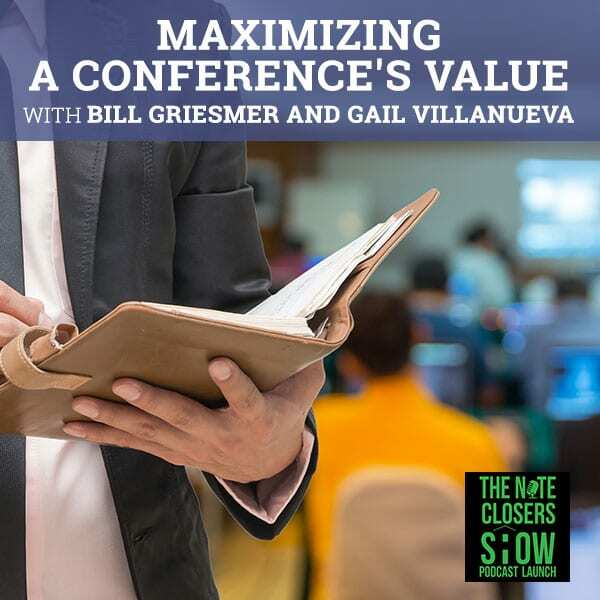 Explore better ways of maximizing a conference’s value with guest hosts Bill Griesmer of Stonegate Capital and Gail Villanueva of Noteworthy Investments. Bill Griesmer is the Managing Member of Stonegate Capital, which buys and sells performing and distressed notes. His company invests in many markets, focusing on the Midwest states. Bill is also a physical therapist, and is deeply involved in the charity Pelotonia – raising around $40,000 to end cancer. 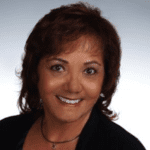 Gail Villanueva has been a licensed real estate agent since ’84; but the market changed. When everybody was zigging towards overbidding on rehabs, Gail decided to zag into notes. How many notes? Noteworthy Investments just closed on their eighth note, going from zero to 17,500 miles an hour. That’s what you need to do achieve orbit. What we are talking about is how to be a social butterfly. How to maximize the value from conferences? I find myself going to more and more of these and they can be a lot of fun, but you want to try to make sure that you’re maximizing the value from them. You don’t want to just be wasting time and money going around and not getting anything out of it. These are some tips that I just thought of a lot of on my own, but then I also did some research to try to think about the very best ways that I can maximize this in. Gail’s going to certainly contributed with any tidbits that she has picked up over her time. I’ve come to learn some of the best ways to maximize a conference. You want to try to make a game, plan ahead of time. Make sure you go through and write down some goals. Think about why are you actually attending, what do you want to accomplish there? What do you want to learn? What are you after? Is there anyone in particular that you want to meet? Think about it ahead of time and try to write it down. Similarly, look over the agenda ahead of time. Are there any key presentations that you want to hear? Are there any that you don’t mind skipping if you meet someone and have a chance to talk with them? Gail, any thoughts on that so far? Absolutely right because a lot of the conferences that we attend have multiple events that you want to attend and you can’t be in two places at once. If you partner with somebody, I found it’s beneficial to have them go to one and then you go to the other one and try to duplicate efforts there. You’re absolutely right to try to get that agenda ahead of time to plan out to get the maximum bang for your buck. Then keeping along with that theme is try to research the people you want to meet. Especially if they are complete strangers. Let’s face it, sometimes it happens to everybody. The best of us, you tend to get a little nervous sometimes. If you do a little bit of homework, you can increase your chances of having a productive and memorable conversation, even just a few tidbits of information. What you want to try to do there you don’t have to try to be a stalker or anything, but just look at people ahead of time and maybe try to Google them. Look at their Facebook page or their LinkedIn page or their other social media sites. Look at their websites. What kind of things are important to them? Do they have any hobbies? What type of things are they working on? Do you and he or she, do you have any mutual friends? The more you can find out about someone ahead of time. For example, if someone wanted to check me out, they’d see I do cycling. They’d see I do mud races, Spartan races. They’d see I exercise a lot. They’d see I’m a physical therapist. They’d see I’m a writer for Think Realty magazine. They’ll see that I’ve had some speaking engagements. They’ll see that I’m a note investor. The more you can find out about someone ahead of time and they can say, “I’ve got an uncle who rides his bike,” or “I see that you raise a lot of money for cancer research. My mother had cancer and thank you very much for writing. I appreciate everything that you do.” Those are just a couple of examples there. What I try to do sometimes is a reach out to them via email, exchange phone numbers prior to the conference. Try to set something up. “I’d like to meet you for lunch.” Something briefly between sessions so that you can interact with them and figure out what you want to accomplish with your networking also, that’s very important. If you go to a conference with a couple thousand people, you want to probably target maybe ten more of you can do it specific to what you’re trying to achieve and what they’re trying to achieve too. You’ve been to some conferences lately. What do you feel is your most beneficial, both personally and professionally, for networking of recent times? How To Maximize A Conference: You only have one chance to make a first impression. You’ll want to look nice. You want to put your best foot forward. You’re going to steal my thunder for later on here. The biggest thing is just to engage and just make sure just talk to people. Along with that line of plan ahead, plan your outfits. This is going to sound funny. It should be everybody. You’ll want to look nice. You want to put your best foot forward. 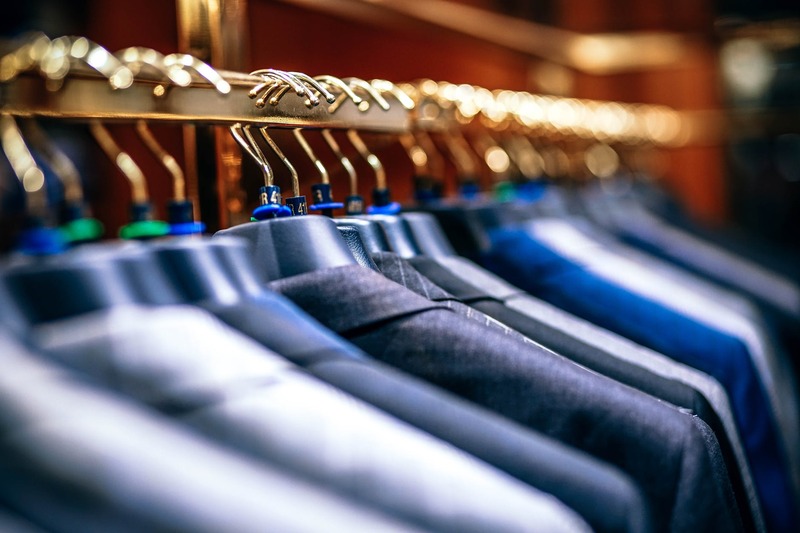 The old saying, “You only have one chance to make a first impression.” In addition, even consider the weather. I went to San Diego for the Magnify Your Wealth Conference. I’m from Ohio. The impression is that San Diego is just the land of milk and honey. It’s 70 degrees and sunny there every single day. I just brought shorts and I brought some Khakis but I didn’t bring a single long sleeve shirt. I got there and all week long the whole time I was there it was colder than it was in Ohio by about eight degrees or so. It was still nice. It’s a beautiful city. I enjoyed my time there but look ahead and plan your outfits and consider the weather. When thought about attending conferences, we have a comment about hanging out in bars where you might be able to talk with the people that are attending and also network with people that might be interested in investing. There’s preparation. If you are traveling, also consider any time difference and how you can minimize this. Whether you’re gaining time or losing time, you’ll want to keep that in mind and make good decisions. When I went from Ohio to San Diego, they are three hours behind us. I knew the conference started at eight in the morning the first day, so that’s like 5:00 AM, my time. Instead of going out the very first night there and meeting Eric Hyde, I purposely stayed in and went to bed early so that I would be well-rested and I could wake up and make it to the conference on time. Right along those lines then, perfect segue here. I do encourage people to try to arrive early. This gives you a chance to just talk to more people. The other thing, quite practically, then you can choose your favorite seat. You’re maybe not stuck in the back if you wanted to move up so you could see the speaker or if they’re presenting slides, you can get a better view of the slides. You might also be able to avoid sitting by someone you’d prefer not to. That’s the old early bird gets the worm. There are a lot to be said for that also. As you’re preparing for the conference, also prepare your elevator pitch ahead of time. You want to rehearse it, I guarantee if you don’t ahead of time, it’s not going to come across as polished. You’ll be fumbling for words. You won’t say something maybe as well as you’re meant to. It’s not necessarily a complete fail if you don’t do it properly. You want to try to put your best foot forward. Just having 30 seconds or so of your elevator pitch ahead of time, know what you want to say and know how you want to say it. What is your elevator pitch if I may ask? I was preparing to speak, “My name is Bill Griesmer. I work very hard to try to keep people in their homes and in doing that I provide good returns for investors. We do this by buying and selling mortgage notes.” That’s a maybe fifteen to twenty seconds. I think I forgot one sentence. If I was going to a conference I would have made sure that I rehearsed that ahead of time. I used to be a lot more technical with it, but I have learned from others that actually you don’t want to be super technical, just, “Tell me more about that.” That right there is the reaction that you’re after. It’s not so much how much technical information can I get across here in 30 seconds or even 60 seconds. That will just confuse people. You’re just trying to get across three messages, tops, and the main two that I had there and part of it is my business strategy. Number one, I try to keep people in their homes. Number two, I do work with investors. Number three, we provide decent returns. Those are the three key points that I’m after I’m trying to make just in the first 30 seconds. How much value do you put on business cards? I put a pretty large value on and we’re going to talk about that in just a minute. Also, I personally find it important that was something I talked about at Magnify Your Wealth. I was amazed how many people did not have a business card. I was just amazed by that. Then it just makes you look not quite as put together. “I can just write it on a piece of paper for you,” it makes you look like you’re not serious about what it is you’re doing. It’s better if they have a digital card and they say, “Let me get on my phone here and I can send this to you digitally.” That’s better than not having anything, but even with that then you’re still looking down at your phone, fumbling there. Instead of being able to look someone in the eye and say, “This is who I am.” It just improves your communication, the whole personal touch. Being able to look at someone and answer any questions they have, you can read the conversation better. If you’re just looking down at your phone, I just don’t think it shows you in quite the best light. What do you think, Gail? I’ve used electronic business cards. I tend to like those two because you capture information about the person you’re talking with. I’ve had occasion where someone sits in my last business card, so I offered to take a photo of it so that I can get the business card information, but not feel that I’m taking their last card unless they want. It’s all about your comfort level and what you like to do. I know some people especially with Infusionsoft. I believe they have a service, Infusionsoft will actually input that information from a business card into a database and that works out great if that works for you. I want to make sure you’re also ready to talk about your work. We just talked about your 32nd elevator pitch also be ready if they skim you the reaction you’re looking for. “That’s interesting. Tell me more about it. How long you’ve been doing that.” Just be ready to talk about your work. There are a lot of power in the number three. Have three interesting or compelling talking points about your business. Maybe three case studies that you have done recently that you can speak about, or three lessons you have learned along those lines. Just be ready to talk. Ideally it should relate to your ideal clients. Try to make it at least a little bit unique, be memorable but also be concise. Then once you finally get to the conference itself, in the words of John Luke Picard, “Engage.” Meet lots of people, move around during the conference, and put yourself out there. You can never quite tell in advance who you will click with or who you might meet at a conference that can help you. You can learn from speakers’ presentations, but there are also a lot of benefit to be had from a meeting and talking with others. I mentioned earlier, you’re probably wasting your time and money if you just go to these things and you just sit in a corner. Gail, thoughts on that? The retention factor from conferences tends to be a little bit low unless you get home and you start implementing it. That’s our whole game is networking to learn and meet other people. How To Maximize A Conference: Try to set five engaging conversations with five different people. Maybe even go one step further. Try to meet strangers. Make yourself a goal. Try to set five engaging conversations with five different people. Maybe even go one step further. Try to meet strangers. I’m not even talking about people you already know, maybe through social media and then you meet for the first time. That’s a six-inch Gimme Putt, try to get out there and meet strangers that you don’t even know. I know at Magnify your wealth, I’ve met and became friends with Yvonne Love and Jason Munson there. Both of them, very different people. They had very different businesses, didn’t have much to do at all with note investing. I learned something from them, they learned something from me. Those are just two off the top of my head. I actually ended up having dinner right next to someone who sent me a tape. You can never tell just by looking at someone who might end up adding value to your life. That was something, if I remember right, the Malcolm Gladwell’s book, Outliers, one of the top sales people talked about that. His point was a lot of other sales people, they try to look at people right from the time they walked in the door and they would try to decide in advance who would buy and who would not. The top salesperson did exactly the opposite. He treated every single client like they were going to buy from him. That was just an interesting take on that I still remember just out of the back recesses of my mind several years later. Do you ever use the FORM method of breaking the ice with people? It’s Family, Occupation, Recreation, and Motivation. You sit there and have you ever noticed that when someone asks you, or you ask them, so where are you? What do you do or where are you from? It automatically leads into flight conversation of what do you do and where are you from? If you got nothing else to fall back on, just think of that in the back of your head and hopefully that’s something that get you through. You mentioned business cards earlier, it’s important to have a contact information strategy and the whole point is, it’s similar to business cards, but you can end up with contact information just all over the place. You might have a pile of business cards; you might have some digital cards. Someone might write their phone number on a napkin and hand it to you. You might have a contact information or a note to look up, scribbled on the corner of a notebook page. You want to try to organize all that information for it to be useful. Anything that does not have physical form, you put it all in one centralized spot, even like one pocket or even your business cards. Everything goes into one pocket or specify one single sheet, maybe the first page in your notebook. This is for any information that is not already on a physical business card and right there, “I met John Doe and this is his phone number.” It’s all on one single page. In addition, if you do have business cards, I encourage people within a very short time by the end of that night minimum, just take one minute and just try to write down three things about that person that you remembered. David Hardcastle, I remember I met him at the Mastermind and he’s a cyclist like I am. When I got his card, I just wrote cyclists and that gives me something to remember about him. Anything, just something unique just to try to remember something about people and that perfectly segues then into just try to have some follow up then and try to send thank you notes or a, “It was really nice to meet you,” note or something very soon after you meet someone at a conference while you are still in someone’s mind. Then that’s when you use that information that you just wrote. “It’s great to hear you’re a cyclist also. I’ll have to come out there to California and try to check out those hills with you sometime.” “It sounds nice to hear that you’ve got some notes in the Midwest and Ohio,” something along those lines or the examples are just about endless. 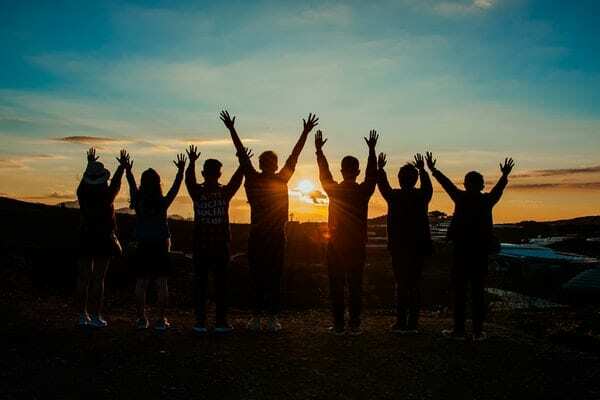 People try to find common things, people, similarities and commonalities of those interests are where they live or what they like to do or even occupations. When you get home, try to review your notes and I encourage people to do this pretty soon after they get home from a conference. I know sometimes you just want to get home and then you’re immediately starting to catch up on activities that you had to put off to the side or such while you were at the conference. I would say within a couple of days, minimum, try to get home and review your notes. What did you learn? What do you need to change? What did you learn that you need to try to implement? Along those lines try to change even if it’s not something from the conference itself, specifically try to make just one small change immediately, the same day, if at all possible. For example, I made a video some time ago about my vision board and when I got home from Magnify Your Wealth, I realized I had taken that down to put something else up and I had it down where I couldn’t see it. That night I believe I went to my bedroom and I just took down a different painting that I had up on the wall and I have that vision board up there. Every single morning before I even leave my bedroom, it just helps me to focus a little bit and say, all right, this is why I’m doing what I’m doing. It just felt to again, engage the day, Carpe Diem, seize the day. I think I’ve got a video on my YouTube channel if anyone wants to see it. It got a lot of positive attention, both personal and professional goals. If there’s something that your house that you’ve been meaning to clean up forever, then just clean that up. The whole point is you’re trying to make some type of change immediately so you’re not just going home and going back to the same old, same old every single time. You’re trying to turn the page and saying you’re starting with a clean slate. That’s what I had for conferences. I’ve got a little bit more a content here about networking Gail, but did you have any other thoughts on conferences or how to make the most of a conference either before or during or afterwards or any other tips that you’ve picked up over the years? You’ve picked up on the main items, as far as the networking. Both you and I have been to conferences before and after a note investing in our lives. One of the things that I focused on in other professions was to go ahead and when I worked for the government was to start implementing things right away when I got back. Otherwise you forget about it and you don’t want to do that. You’ve hit on the big heavy hitters. We did have a question from Scott Carson. He says, “Have you ever read Never Eat Alone by Keith Ferrazzi?” I personally haven’t, but have you had a chance to read that book? I have read an article about the book, but I have not read the actual book. It’s my understanding, the whole theme of the book is the title of spells it out, Never Eat Alone. Always try to meet someone, do something, even eating. I actually did do that once. I met someone at a restaurant and sometimes you just feel awkward sitting there eating all by yourself. This was some time ago, I think before I even had a smartphone or something. Now you can lose yourself in that. I actually did just walk up to someone and introduce myself and sometimes you can feel intrusive, but if you just do it friendly, the vast majority of people will give you the benefit of the doubt. They were just sitting there the same as I was. I think we exchanged cards. I didn’t end up staying in touch with them, but you just never know. That could have been someone that might have been able to help my business quite a bit. You can network anywhere, there are stories. I met someone on an airplane and you’re sitting there for an hour or two and sometimes people just don’t want to talk at all and that happens to me sometimes. You can just network anywhere. Just one other thought that I’ll talk a little bit about is getting out of your own way. How To Maximize A Conference: Every single person can teach someone else something. A lot of people, especially my friends have improved with this over the years, but to be perfectly honest, I’m a shy person a lot of times, believe it or not. You can ask my wife, she’ll agree with you. You realize at some point what we talked about, trying to think about what it is you’re trying to accomplish and how to best go about it. I finally just realized if you just keep to yourself, you’re not going to progress as much as you want to. Even if it’s difficult, you just got to get out there and do it. The stuff we talked about is daunting to you. If meeting five people is difficult then just try to meet just one person. You got to put yourself out there though and you can’t just say, “I’m introverted. I can’t meet people.” I truly believe this. This is both personally and professional. Every single person can teach someone else something. You can’t be very introverted in this business that’s for sure. A couple other tips then for networking just in general. Take a look around you and look at the networks that you already have in place also. We know so many people and new opportunities can arise from people you already met. Communicating what you’re trying to get across your message, it also helps you make more credibility and you just want to make sure you’ve got at least some substance. That’s what we were talking about. Also making sure you think through what it is you’re trying to communicate ahead of time. Most of us can’t just show up at an event and stand around and expect people will come up and talk to us. Celebrities can do that, even the like local or business celebrities you might be able to consider Scott one of those, majority of us though, we can’t just stand around and expect people to come up to us. You got to go out and make it happen yourself. Also, don’t be afraid to exit quickly from a conversation that’s not a good match. I don’t mean this as a contradiction of what I just said. I do think everybody can learn from other people, but there are some people that you’re just not going to click with or you’re not going to fit with well in life. That’s okay. It doesn’t make you a bad person. It doesn’t make them a bad person. Sometimes people, just for whatever reason, they don’t do exactly well together. Just don’t try to keep pounding a square peg into a round hole. In networking, just try to be honest and sincere and hopefully both parties get some value from it. My last note here then I was going to talk about, and I was just thinking about this during the game last night. Some of actually when I was in college, I had an internship with the Cleveland Cavaliers. It was a dream come true at the time. That whole happened because the networking. The way it worked out I went to Ohio University, I have a degree in Journalism and we were having a conference and a Bob Price who was the director of public relations for the Cavaliers at the time, the team had missed the Playoffs that year. I know it’s an all but he couldn’t have come to that conference if the team was in the Playoffs. It ended up working out and I was only twenty years old, but I went into that conference I had one goal. That was to meet Bob Price. I even said if everything works out just right, I’m going to make this happen, and I did. I remember being so nervous and unsure of myself, but I just had the chance to sit down with him. After talking with him for an hour and a half, I had an internship and it was amazing. Then when I was actually on my internship, they get literally hundreds per year of people that wanted to be exactly where I was. That’s an example of exactly what I’m talking about and that was so, so long ago. I got to meet all the team. I was on sports center and that type of thing. I met Michael Jordan very briefly. I met Larry Bird briefly. He was my idol at the time, I was part of the team and then I was able to parlay that. Then through networking, the general manager of the Cavs, Wayne Embry, he was on USA Basketball, part of the Olympic Movement. I was able to parlay that internship and do another internship with the US Olympic Committee. My point is, you can make good things happen with networking. No matter who you are, no matter where you come from. It just starts with being willing to take some risks and put yourself out there. We’re starting to get there on time, Gail. Those are my top key giveaways. If anyone is interested, they can feel free to direct message me on Facebook or they can put their email in the comments or they can send their email to me. I’d be happy to listen. I’ll write my email in the comments just so everybody has that. I think that does it for me for right now. Do we have any other questions? Gail, do you have any other comments? That’s because that’s a big part of the deal. That’s probably part of the reason they got so successful? I’ve read Bill Gates, he’s obviously one of the most successful people in the whole world. I’ve read that he’s not a people person, but he started his whole path to success by getting a contract at IBM. That required some networking right there. Yes, I would say in general, successful people are very approachable. I remember at Note Expo, I had the chance to meet the keynote speaker and I just went up and introduced myself and I said, “I’m Bill Griesmer. It’s nice to meet you.” I paid attention enough to know a couple of key points about what he had talked about and I was just able to use that as a springboard to a conversation. His name’s Matt Burke and we’ve stayed in touch, he lives in a different state. We’re not drinking buddies or anything and he’s obviously a very, very successful person. Yes, in general, I’d agree successful people are generally pretty approachable. Do you spend time talking with vendors when you go to any of these events also to try to network and FaceTime? If you have FaceTime but spend real lifetime with them. Let me ask you this. If you’re with a servicer for example, two people hire the same servicer. One of the clients, say it’s Shante. She doesn’t know who that person is. She’s never talked with him in person, doesn’t know anything at all about him. She might recognize the name but certainly has never seen their face. They’ve never contacted her. Then the other person just the opposite Shante. Says, “I remember, talking to Bill and meeting him at a DME and he did that cycling thing and he’s raising money for cancer. He’s the one he worked out that difficult note and he gave us the business from that. I remember Bill,” if they both call her at the same time, who do you think? It’s just human nature. I’m not saying anybody would purposely ignore somebody. Who do you think they’re probably going to pay attention to? First one that I already know. They’re building a relationship with. How many times have you heard people say it’s good to put a name with the face? How To Maximize A Conference: Recreation is a great way to be an icebreaker towards talking with people at conferences. By all means, it’s a good idea to meet vendors and people both a personal and especially business network. They can help you, they can make life easier for you. They can save you money and time sometimes. Yes, by all means make you even talk to vendors. Any others? We’ve done everything in as we’re going along a little bit. I think we pretty much covered everything. What about asking for introductions from people and you’re trying to meet somebody but don’t know the person. Do you find that valuable? If you don’t know somebody, try to introduce like they are a friend of yours but they are a stranger to the person you’re talking to. Try to make an introduction there. That’s what it comes back to. Be ready ahead of time. Be willing to put yourself out there. Be ready to ready and able to look someone in the eye and say, “I’m Bill Griesmer. I’m a note investor,” and your elevator pitch, which I gave earlier. I look to help keep people in their homes and I provide returns to investors. We do that by buying and selling mortgage notes. 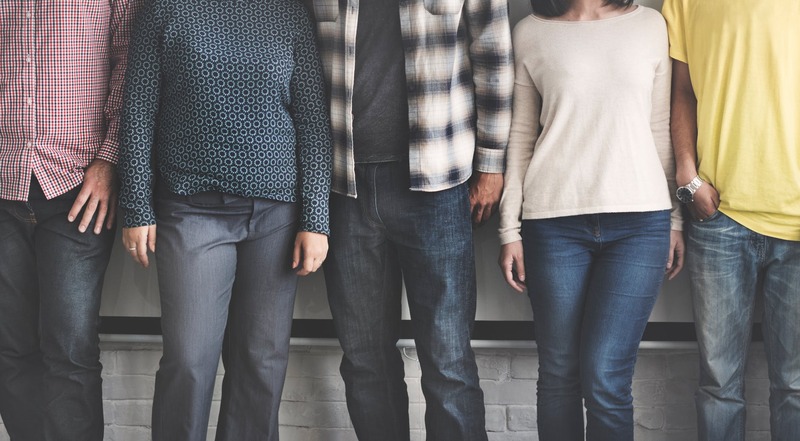 I’ve asked people too, if they don’t mind giving me an introduction to a certain person that I’ve wanted to meet at a conference and saying, “Do you mind introducing me to this person?” Going up to them cold and then having that relationship or commonality before you can do that is very, very valuable I think. That’s the, R in the FORM method, the recreation side. “Did you watch the game? Did you watch the JR Smith blotch rebound? Did you see Stephon Curry hit nine to three pointers?” Yes, we gave him the touch from the holy land last night from downtown. He did have that and I want to say, “God, I think it was your arch nemesis. The devil possessed JR Smith for four-point seven seconds. God, you should’ve seen me yelling at my TV and I’m wondering, never mind my language that was used.” There might have been a couple of comments directed toward my TV over the last four point, seven seconds along with everybody else on the team because anyone else on the team could have called timeout. Also, I will say that, so it’s not 100% of the blame on JR, but I’m certainly to be dribbling away from the basket when the game is tied. It does not strike me as a very intelligent conversation. The point here being recreation is a great way to be an icebreaker towards talking with people at conferences. Good job. Gail the Note Gal (Noteworthy Investments, LLC) is a privately held company specializing in the purchase of non-performing debt secured by real estate in most of the major metroplexes and emerging markets across the country. We partner with investors to purchase these assets and deliver to them consistent high returns. All of our investments are secured by the underlying properties and we purchase the non-performing debt at well below market value. We are able to acquire these discounts due to our relationships with banks, hedge funds, and other investors.